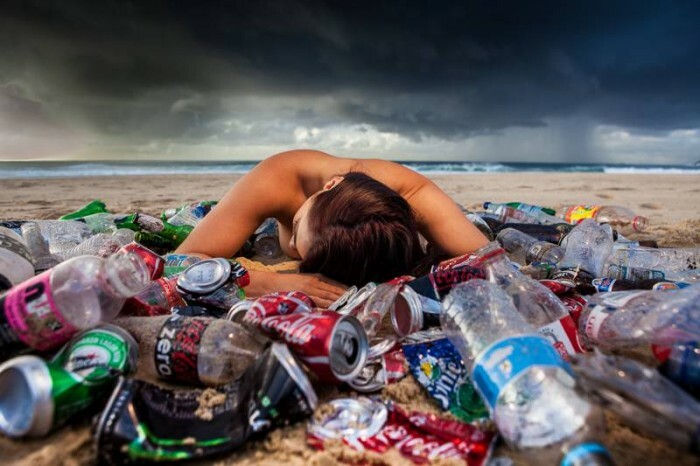 Greenpeace and Clean Up Australia have launched their #TRASHYSELFIE campaign to raise awareness of plastic bottle waste in Australia. 15,000 plastic bottles are discarded every minute in Australia and less than a third are recycled, meaning they end up on our beaches, in our rivers, in our seas. They are promoting a Cash for Containers scheme, a 10 cent refund on all plastic bottles and cans, to encourage recycling. Sounds great, right? So what’s the problem? The problem is beverage giants don’t want the increased production cost. Coca-Cola, a long time critic of such schemes, argued that, “container deposit schemes have consistently been found to be the most expensive and inefficient method of increasing recycling rates.“ Advocates of container deposit recycling schemes believe the real reason for Coke’s opposition is that they don’t like the extra 10 cents added to the retail price. South Australia has had a container deposit scheme in place for about 35 years. This scheme has given the state an 83 per cent recycling rate, double the national average. In January 2012, the NT introduced a similar scheme. In the year the NT scheme was in operation, recycling rates tripled to 67 per cent. But in January 2012, Coca Cola, Schweppes an Lion took the NT government to the Federal Court to dismantle the scheme under the Mutual Recognition Act. In March 2013, they won their case and the scheme was abandoned but the decision was later overturned by the Federal Executive Council. More about this on ABC’s recent 7.30 report, ‘Keep Australia Beautiful and Coca-Cola crush container deposit schemes‘. Groups such as Keep Australia Beautiful represent important independent voices in the Australian political landscape. They crucially contribute to good governance where they provide unbiased information to the public and to lawmakers. The corruption of such independent advocacy by corporate interests can not be tolerated in a healthy democracy. Cash for Containers makes sense and is proven to work. We must continue to campaign for this sensible approach to environmental protection and not be bullied by foreign corporate interests.